How Many Life Changes Do you Want? 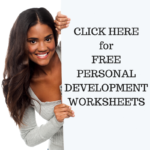 A comprehensive website for all your personal development needs. Life comes up with it’s own changes from time to time. You might lose your job, or suddenly need to move house. Life has many changes and they can pop up around every corner. But have you thought about making your own changes in life? Have you ever WANTED something different in life? AND, How many changes do you want to make to your life? Can you think of 5? Contemplate on what you want to change – and I mean REALLY think about all the ins and outs about what you do and don’t like in life – is the first step to making positive changes. Okay, so for instance you’ll notice in my personal blog Wyld Woman Goes Bush that I decided to ON PURPOSE make dramatic changes to my life. I decided that I wanted to learn more about the Aboriginal Australian culture. To do this I had to let go of the way my life WAS… and so I did. If you want to make personal development changes in your life you first need to decide on what you want to change. So, put this blog on PAUSE for 5 minutes and write down 5 things you want to change… they can be big or little things… it does not matter. Once you’ve written down the 5 things you want to change it’s ABSOLUTELY NECESSARY that you spend 5 minutes on each one of those items and answer WHY… why do you want these life changes. Now this is the juicy good part that I really love. This is where you write down the deep down urges, cravings, needs and everything that motivates you to seek these changes. This is where you mind and heart become really clear with the reason why you’d want to go through the effort of working towards these changes to begin with. Personal development – no matter who is teaching it and no matter what book you’re reading on it – the first step is always that you have to know what you’re changing and why. How else would you start the change process if you don’t know your final goal? I’m not going to ask you to write down the steps to those 5 life changes you want. It’s not necessary! Well, because once your mind is focused and dedicated: 1. write down 5 life changes you want (focused), and 2. write down the reason why you want these in detail (dedicated) then what you want will start to change around you. There’s no reason for steps – because it will just simply happen. HUH? Am I talking about some magical instant happening? Some miracle over night change? Nope. It’s a gradual change that happens when you focused your mind and heart on what you want. All you need to do is get those two aspects in alignment and simply observe (just sit back and relax) your life changing around you. But be warned! In order for these changes to occur you might end up with some obstacles or challenges thrown in your path. These strengthen your resolve and build parts of your personality that you need for your new life. Go through them with full flowing force and dedication. You’ll find you actually enjoy this growth. It’s deeply satisfying. Life changes. Create some of your own. This entry was posted in Personal Development Resources and tagged life changes, personal development. Bookmark the permalink. Next Post: Kiss Your Bad Habits Goodbye! What’s in Your Personal Development Toolbox?